What Does Mega Man Think? 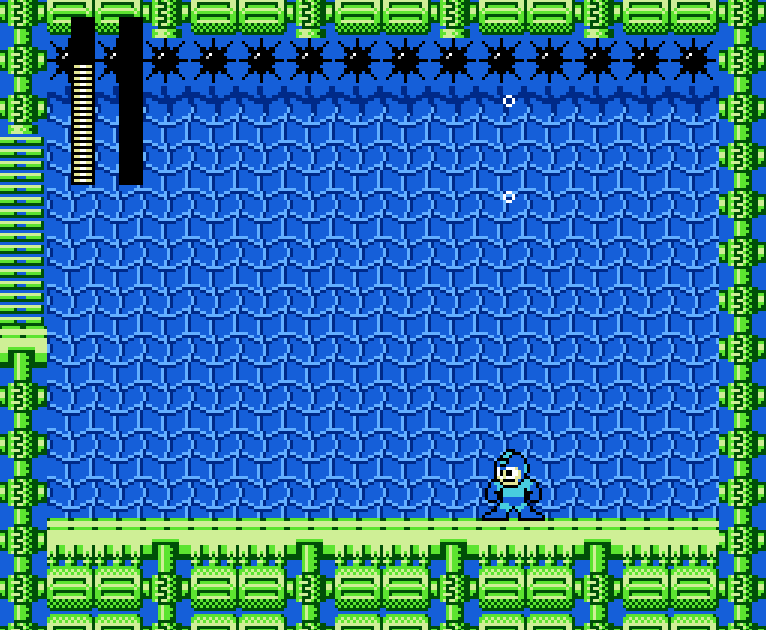 Here’s a question: what does Mega Man think? When he stands there blinking, staring into the space where the now defeated robot master once stood, pelting him with projectiles, what does he think? What runs through his mind? 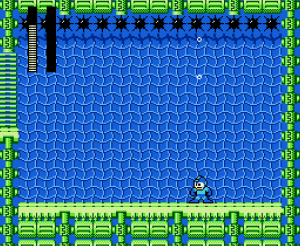 What kind of things bubble up from beneath, into and through Mega Man’s consciousness, as he stands stock still, willfully paralyzed, unresponsive to requests and commands to move, blinking, wondering, pondering. What sort of things might go through his mind? What memory is he fighting to suppress? What goal is he fighting for? It can’t be everlasting peace. Not anymore. He knows better. The fighting never ends, and yet he never stops fighting. He stands alone and small in an empty room, blinking. What injury is freshest in his mind? What narrowly-avoided death trap will haunt his dreams? When will he get to go home? What sort of a life is this that he leads? An endless gauntlet of machines designed for the specific purpose of wearing him down, breaking him, demolishing him so that he can never be rebuilt. But he survived another battle. The robot master is no more. And he stands there blinking. A robot that blinks…for what purpose does a robot blink? Is it too much to assume that he thinks at all? He speaks, and he acts, and he conquers…why could he not also think? And how would his thoughts manifest themselves? As digital coding fed repeatedly through receptors, wired circuitously so that they never quite leave him, or as something internal, something not hardwired or foreseen at his conception. Is thought an unintended consequence of designing a robot with the freedom to choose his own path forward, or was it there from the start, and the stage select screen only an illusion? After all, there might be several ways in, but only one way out. And he stands there blinking. I tell him to move, and he does not move. I ask him to jump, and he does not reply. He stares vacantly into a room as empty as his mind might be…but then again, it might not be at all, and his lack of response could simply be the weight of the matters he is processing, pondering, considering. What is it, Mega Man? What are you thinking about at the end of your fight? You don’t look particularly glad about your victory. Do you dread the next battle, which is always around the corner? Are you just glad to have a moment to catch your breath, to clear your mind, and to heed no man as you await the involuntary teleportation that heralds in the next fight? Speak to me, Mega Man. You can talk…I know you can. You have a voice, and you have a mind, and right now you are so deeply inside yourself that you can’t even hear me ask you to leap around the room with joy. What is it? Is the hero’s burden really as tragic as you make it out to be? What is it about the sight of an empty room that chokes you up in a way that no phalanx of enemy soldiers can? Have you stared, even for a moment, into the abyss? And, if you have, what is it that you learned about yourself? What broke your resolve? What robbed you of the will to continue forward? Tell me, Mega Man. Tell us all. What presses so heavily down upon you that it renders your motionless?